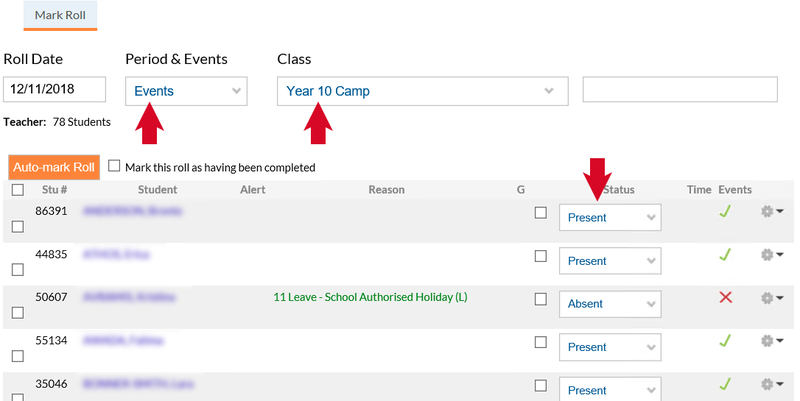 This article illustrates the attendance flow for when students are added to a calendar event on Edumate. 1. School Calendar – An event is created for a certain time period in Edumate and appears accordingly on the Edumate ‘School Calendar’ (example below). 2. 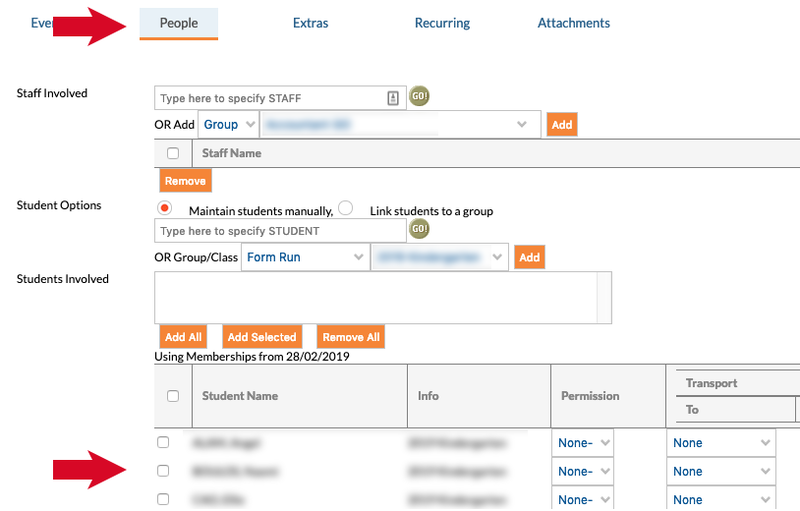 Attached People in an Event – Events in the calendar can have students attached, as such they will need a roll marked for their attendance on that event for the time the event runs for (we will follow the attendance flow for an example student below). 3. The Teacher’s Class Roll – When girls are attached to an event they will be removed from any class roll falling (even partially) within the time period that the event covers. n.b. If a student is attached to an event, their normal timetabled teachers cannot record their attendance for the duration of that event, it is the responsibility of the designated responsible teacher for the event. 4. The Event Roll – the teacher designated as responsible for an event in which students are attached will need to mark a roll for that event, and will need to one-off mark the students as present or absent for that event which applies to the entire duration of that event. 5. Students Attendance as visible by parents, students and admin staff – Appropriate participation and attendance at calendar events will be visible on student’s attendance records which are visible by parents, the students themselves, and admin staff at Danebank. As illustrated below, clocks will appear on the attendance graph where students are attached to an event, and a separate event tick/cross will appear on the far right to indicate their attendance as per the marked roll of the event itself.